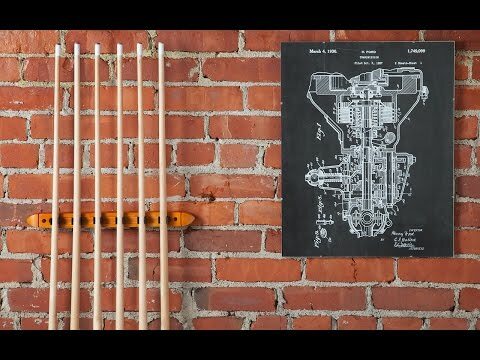 Founder Cole Borders turns original hand drawn patents into incredible art prints. PatentPrints feature inventions from specialized professional tools to once-novel items that are now part of our everyday life. Bring a bit of style and history to your home or office, or give one as a meaningful gift. Dimensions: 24" x 36" or 16" x 20"
Great print. Shipping was on the slow side, but that's my only complaint. Arrived quick, great packaging. Looks even better than I thought in frame. My husband is so hard to shop for because he buys whatever he wants for himself. So it is a challenge! He loved this...just loved it. Amazing! PatentPrints is a doubly appropriate Grommet—started by one Maker who celebrates other Makers. 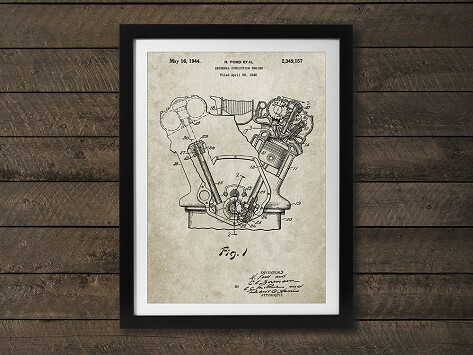 Founder Cole Borders makes high-quality prints of the original patent drawings for a myriad of inventions. From household items to toys to machines, these prints are technical yet refined and even playful. Cole was first inspired by a patent drawing of a duck call—it was interesting and artful. Intrigued by schematics and blueprints, he loved the idea that most products start with a hand drawing. So he began producing patent art prints that make distinctive pieces with an educational flare. Cole’s background in printing and passion for design are the perfect combination to bring these incredible drawings to life. Printed on matte cardstock, each one looks authentic while being appropriate for any home or office wall. From the everyday things we use at home, to specialized items relied on by professionals or hobbyists, these prints add a bit of history and personalization to your space.